You Can Turn Your Life Around! Ask The Capuanos. Tom Capuano was asking himself one question over and over in the late '90s. "How am I going to stay afloat?" At the time, Tom owned his own small heating and air conditioning business. "My wife Tracey and I were struggling. It was apparent to me that I needed to find an alternate way to use my experience and skills in heating and air conditioning. The way we were going at the time, I knew I would have to file for bankruptcy," says Capuano. After doing so they got a fresh new start in life by purchasing a Pillar To Post Home Inspection franchise on their last credit cards. Allowing Capuano to tell his own story, "It was an awful time but we also were excited to start fresh and do what we needed to do to get back on our feet. 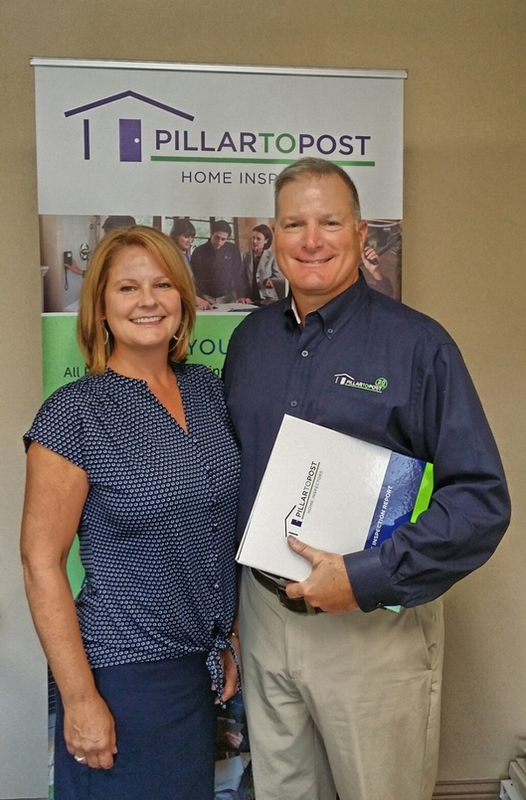 We chose Pillar To Post because of so many things, but mainly because they were the number one home inspection franchise in North America and after meeting with the people and learning the program, we were sold. The first year in business I performed 442 home inspections, answered and booked all inspections, did all the real estate office marketing and worked seven days per week. We kept our house which was near going into foreclosure. Our two young daughters never knew what was going on, other than Daddy changed jobs! They were involved with stuffing envelopes for marketing mailers, assembling the inspection binders, and being quiet when I was on a business call. I never missed a mortgage payment or an IRS payment. The second year started out strong and mid-year I hired my first employee inspector, and doubled the number of inspections. I always knew that I wanted to own a home inspection business rather than work a job as a home inspector. So I began to hire good people who my good agents would like and trust just like me. As the years rolled by, I hired good people and continued to grow the business, always stressing the importance of helping our clients buy homes and to help real estate agents get inspections done with little to no hassle. In 2007 Pillar To Post started a group called The Navigator Group, which is made up of franchisees who want to grow a larger business. We meet monthly by phone and face to face a couple of times per year. This has been a tremendous accelerant to my growth, and has impacted me as a leader in my business. In 2005 I was recognized as the PTP franchisee of the year and in November 2013 we performed our 25,000th home inspection. Today my team is made of six full time inspectors, a marketing rep, a customer service rep and an accounting clerk. I have not performed a home inspection since November of 2011. My responsibilities are to assist my team, develop relationships with busy real estate agents and perform presentations. We are the dominant home inspection company in our market because we are easy to do business with, have a caring, helpful inspection attitude with our clients, and help our agents get the transaction to close as efficiently as possible." Founded in 1994, Pillar To Post Home Inspectors is the largest home inspection company in North America with 450 franchisees, located in 48 states and eight Canadian provinces. Long-term plans include adding 500-600 new franchisees over the next five years. Pillar To Post has been ranked the No. 1 home inspection franchise in North America by Entrepreneur Magazine. For further information, please visit www.pillartopostfranchise.com.